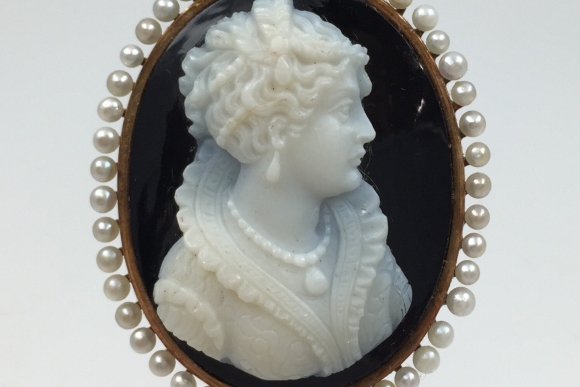 This exquisite 14K Victorian onyx cameo brooch is beautifully hand carved with an aristocratic lady in profile. Surrounded by 45 2mm natural seed pearls, the black onyx background contrasts strikingly with the white onyx carving. 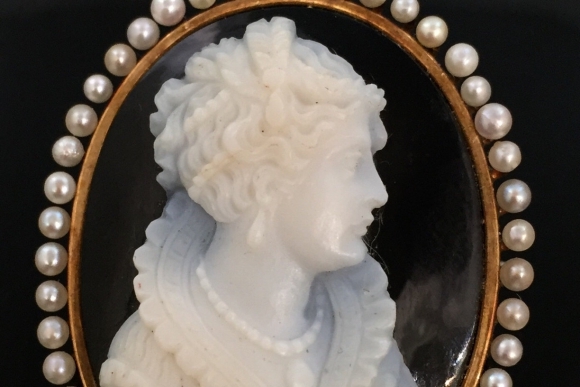 Highly detailed this cameo is a fine addition for the collector and lover of the art of antique cameos. 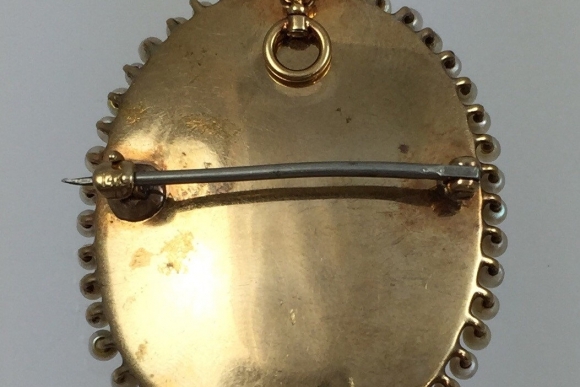 Fitted with a pin stem and clasp, and folding pendant bail for added versatility. Truly exceptional. 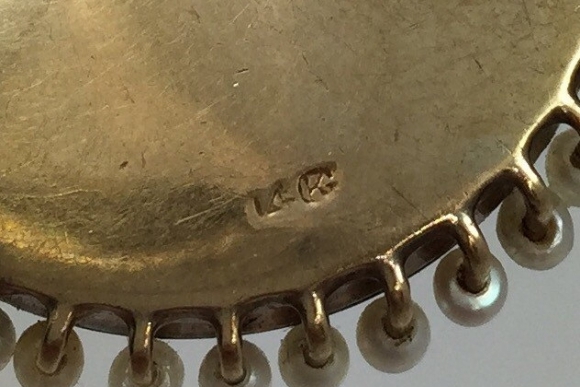 The brooch measures 1 9/16 x 1.25. Very good condition. No chips, breaks or cracks. 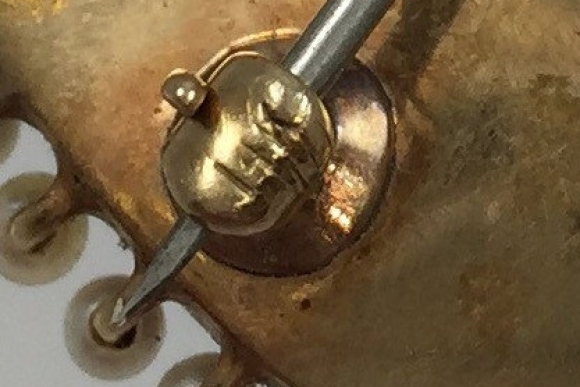 There is a small dent in the gold backing. Circa 1900.